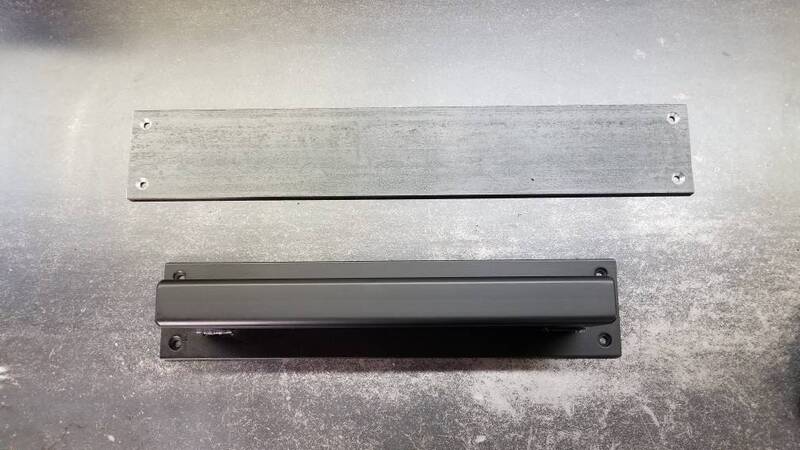 Large 3" Flat Steel Push Plate - Loft Door, Industrial Door 10" - 26"
This push plate is made of 3" wide 3/16" thick hot-rolled flat stock. Available raw or with coat of clear to bring out the natural beauty of the mill-scale steel. Excellent for commercial/exterior use. 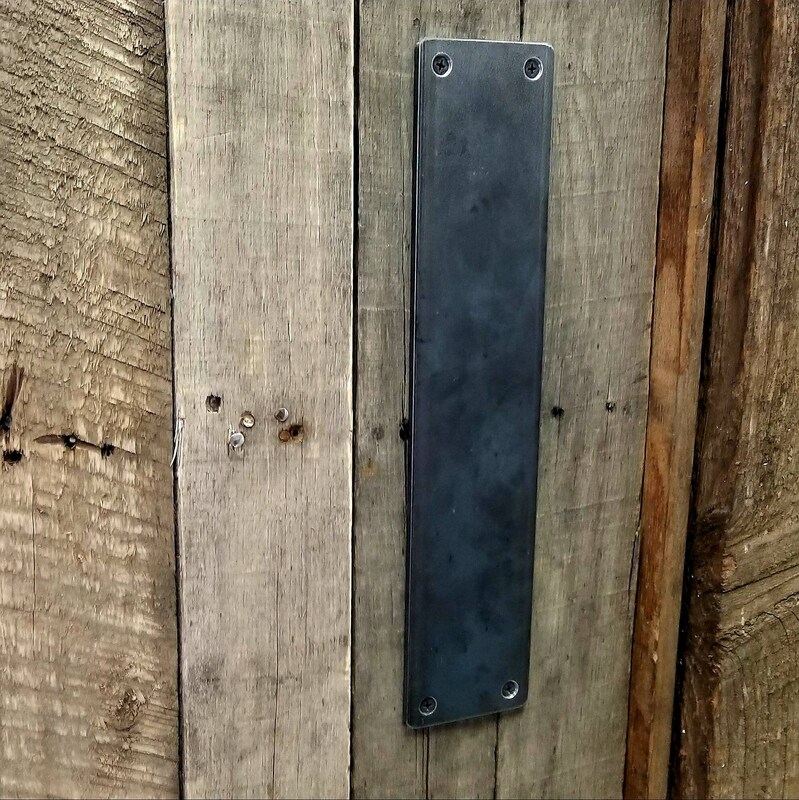 These are matched in lengths to our other barn door handles. Order an 18" handle? Pick the 18" push plate for the perfect match. 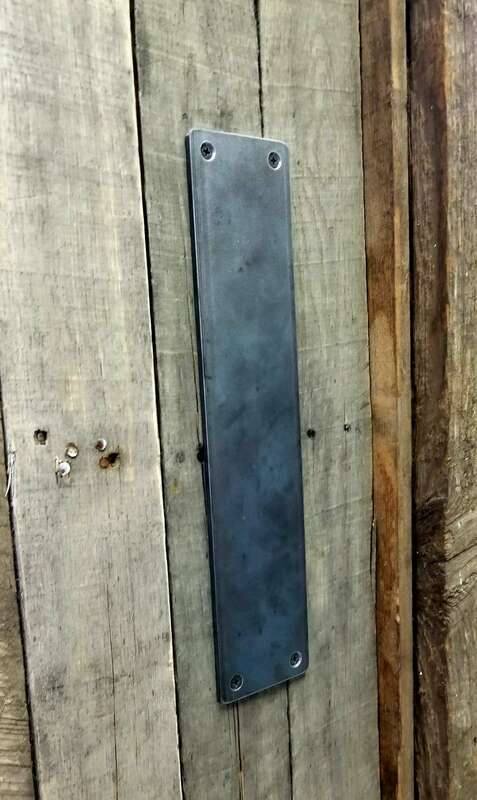 Pictured is a 18" push plate in raw steel with no clear coat. 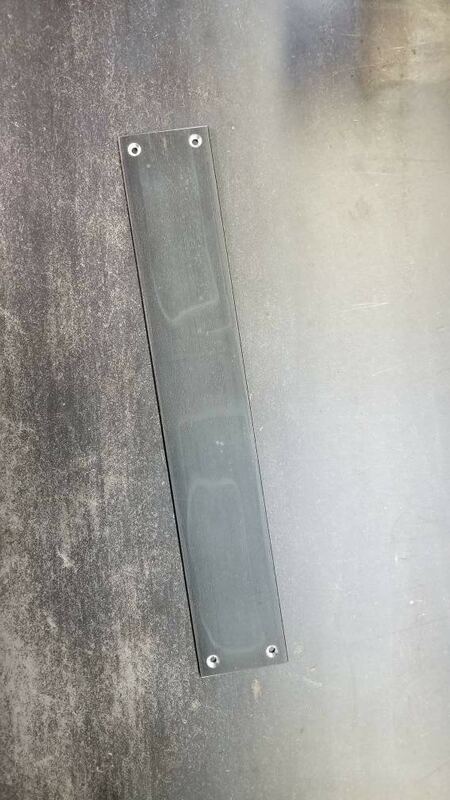 Also shown next to a 1-1/4" barn door handle for comparison.